Who ever said nothing in life is free hasn't been talking to luxury hoteliers lately. An unprecedented number of hotels, including a number of our favorites, are enticing visitors to head their way in '09 with FREE (yes, totally FREE) nights. Of course, you have to pay for a few to get the freebies, but all things considered, these are amazing deals. In Riviera Maya, Mexico, for example, Rosewood Mayakobá's “Escape a Little Longer” package includes a fifth night free with four booked (valid for stays January 3 through May 2, 09). In the Turks and Caicos at popular Parrot Cay (where Ben and Jen got hitched), you'll get not one but TWO nights free if you book and pay for five nights for a stay through the end of January. Unlimited yoga and Pilates are included. Also in the Turks and Caicos at the news Seven Stars resort, one free night is added to every three-night stay and two free nights gifted to those staying a week or more. 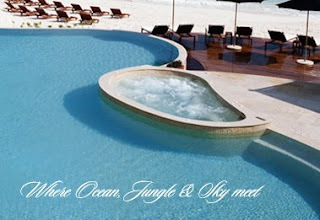 Added bonus: a 20% resort discount on all food and beverages, spa treatments and boutique purchases. Book through Elite Travel International and of course, extra-VIP treatment is guaranteed! I like your post, It contains truly information. Your website is very useful. Thanks for sharing.